HELLSAW emerged in 2003 from the minds of two: Aries on Vocals, Bass and Guitars, and Svart on Drums. In 2003, the band’s first demo, “Sins of Might”, was released to very good reviews, and was followed up by the release of the CD a few months later. “Spiritual Twilight” the first full-length album from the band, appeared in 2005 and firmly established HELLSAW’s place in the European Underground. The band continued to build on its success over the following months by touring all over Europe. The start of 2007 saw HELLSAW invited to join the “Flesh For Satan Tour” with INQUISITION, which proved to be a milestone in band’s career. After several months of work in the studio, HELLSAW unleashed the second full-length album, “Phantasm,” onto the unsuspecting world via Folter Records, and this was followed by a European tour with SHINING and SKITLIV. HELLSAW signed to Napalm Records in 2008, and the band’s second full-length album “Cold”, was released in the spring of 2009 to much critical acclaim. 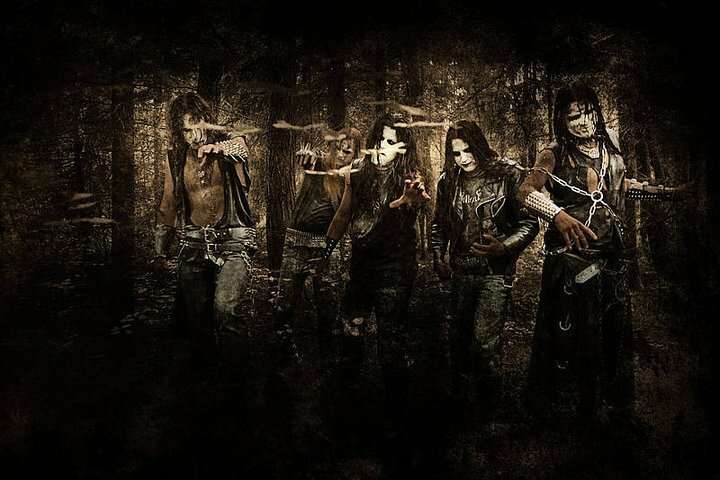 The band continues to play live regularly both in venues and at festivals such as Party.San, Ragnarok, Under the Black Sun, MetalFest, Roots for Rock etc and will appear at Wacken in 2011.